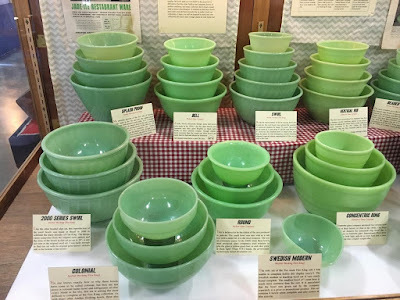 A good friend of mine who is perhaps one of the most passionate jadeite collectors I know, recently showed me his jadeite bowl exhibition at the local county fair in his area. Nick Stein is my go-to teacher and advisor when it comes to collecting jadeite, pricing jadeite and using one's vintage jadeite. It never ceases to amaze me how much he knows about this subject. 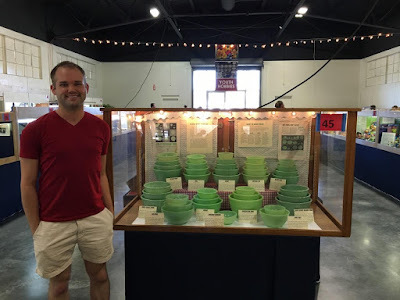 Nick tells me that he has been entering his jadeite collection at the Alameda County Fair in Pleasanton, California for several years. This year's exhibit was all about showcasing every single jadeite bowl set that was offered from the three major jadeite manufacturers in the United States, dating from the 1930s through the 1970s. These manufacturers include Fire King, Jeanette and McKee. 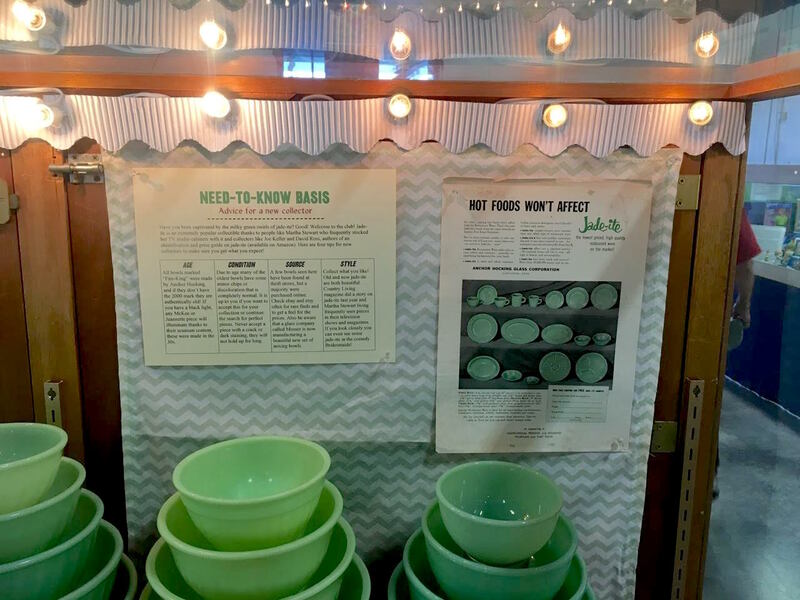 Nick says that he loves collecting jadeite mixing bowls because, "they have multiple pieces which makes it fun to hunt for, and some are very rare!" Take a look at his wonderful display. 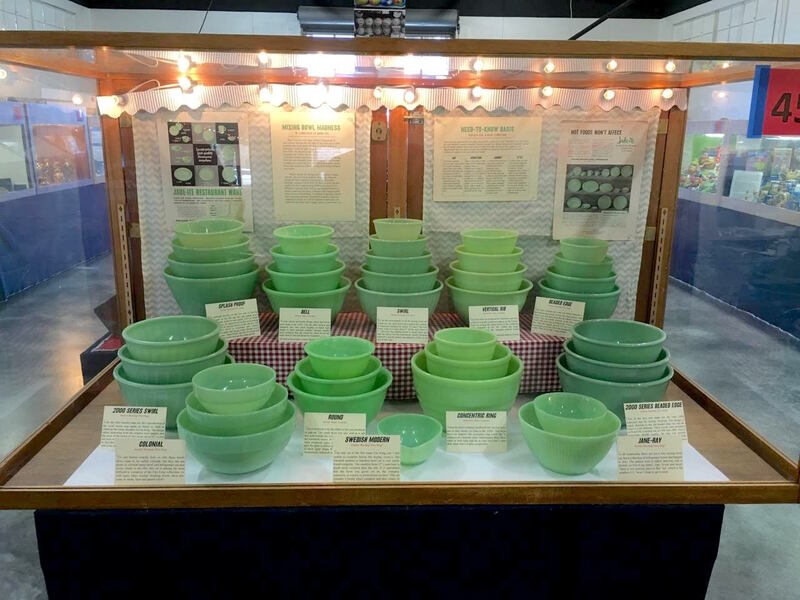 This fantastic glass-enclosed arrangement is not only a wonderful array of Fire King, Jeanette and McKee jadeite, it is also a very informative and educational look back at the history of the collection. Nick provided details of every single set of mixing bowls for his jadeite exhibit. Nick explains his "Mixing Bowl Madness": Have you ever seen these before? Chances are if you've lived through the 50s, 60s or 70x, or if you've paid grandma that much-deserved visit, you have! This is a collection of jadeite glass mixing bowls dating back to the mid 1930s. 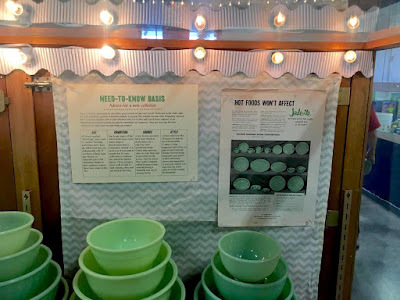 Produced by three companies, Anchor Hocking, Jeanette and McKee, they have been a staple of the American kitchen and continue to be very popular. Mixing bowl sets are extremely popular among collectors because so many have survived over the years and so many people have fond memories of their favorite foods being whipped up in them. 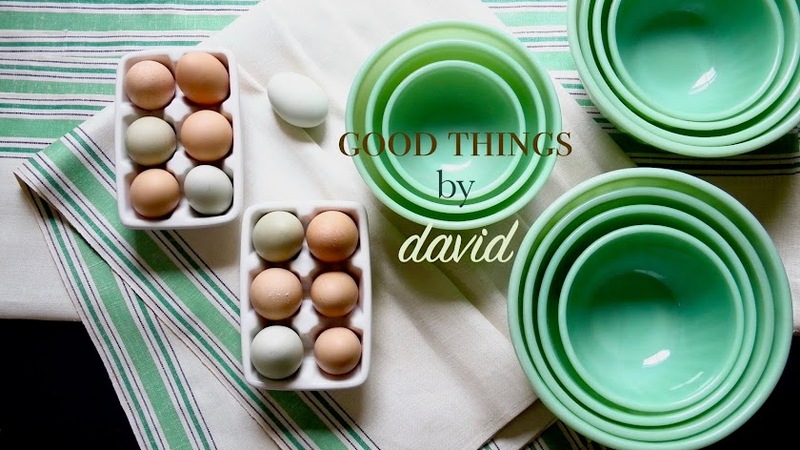 When I started my mixing bowl collection, I began with the old swirl bowls made by Fire-King. They are among the least expensive and easiest to find today. They routinely sell for $100-$125 for the four piece set (the smaller 5th bowl adds an extra $200 to the price!). It is difficult to find older McKee and Jeanette bowls in perfect condition, but many collectors don't mind a small chip or minor discoloration. It reminds us that these bowls have seen a lot and have traveled far to make it into our collections. 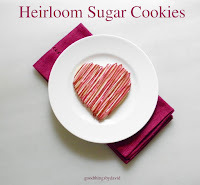 I hope you will be inspired to start your own collection and enjoy their vintage charm in your home too! Nick Stein's advice for the collector': Have you been captivated by the milky green swirls of jade-ite? Good! Welcome to the club! 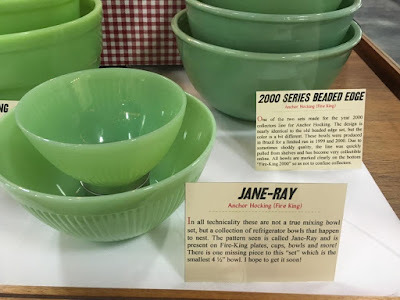 Jadeite is an extremely popular collectible thanks to people like Martha Stewart who frequently stocked her TV studio cabinet with it and collectors like Joe Keller and David Ross, authors of an identification and price guide on jade-ite (available on Amazon). Here are four tips for new collectors to make sure you get what you expect. Age: All bowls marked "Fire-King" were made by Anchor Hocking, and if they don't have the 2000 mark, they are authentically old. If you have a black light, any McKee or Jeanette piece will illuminate thanks to their uranium content. These were made in the 30s. Condition: Due to age many of the oldest bowls have some minor chips or discoloration that is completely normal. It is up to you if you want to accept this for your collection or continue the search for perfect pieces. Never accept a piece with a crack or dark staining, they will not hold up for long. Source: A few bowls see here have been found at thrift stores, but a majority were purchased online. Check eBay and Etsy often for rare finds and to get a feel for the prices. Also be aware that a glass company called Mosser is now manufacturing a beautiful set of mixing bowls. Style: Collect what you like! Old and new jade-ite are both beautiful. 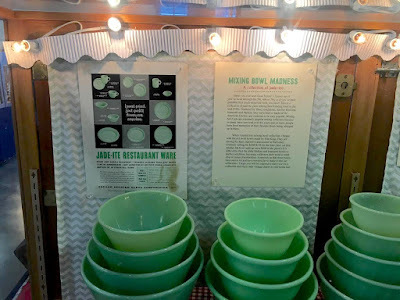 Country Living magazine did a story on jade-ite last year and Martha Stewart Living frequently uses pieces in their television shows and magazines. If you look closely you can even see some jade-ite in the comedy Bridesmaids! In all technicality these are not a true mixing bowl set, but a collection of refrigerator bowls that happen to nest. The pattern seen is called Jane-Ray and is present on Fire-King cups, bowls, and more! There is one missing piece to this "set" which is the smallest 4-1/2" bowl. I hope to get it soon! By far the most popular of all the mixing bowl sets in jade-ite, the swirl bowls have graced the counters of American kitchens for nearly 70 years! The swirl bowls come in 5 sizes from 9" all the way down to 5", however, the smallest bowl is much more rare than others. For the millennium, Anchor Hocking released a special edition reproduction. The four bowl set produced by Jeanette seen here features a pretty sunflower pattern on the bottom. These are among the oldest bowls in this collection made sometime in the 30s. Unlike the large concentric ring set, this Jeanette jade-ite comes only in a light shade. No Jeanette bowls have markings, making it tricky to identify them. The most common set in the Fire King collection is the beaded edge bowls. If you were born before 1980 chances are you have seen this in a family member's home. This set usually consists of the three smaller bowls seen here, but collectors are overjoyed when they find the largest one (8-3/8") as it is the most uncommon of all the Fire King mixing bowls. Made in the 1950s, it's a truly classic design. One of the two sets made for the year 2000 collectors line for Anchor Hocking. The design is nearly identical to the old beaded edge set, but the color is a bit different. These bowls were produced in Brazil for a limited run in 1999 and 2000. Due to sometimes shoddy quality, the line was quickly pulled from shelves and has become very collectible online. All bowls are marked clearly on the bottom "Fire King 2000" so as not to confuse collectors. Jeanette glass company produced two mixing bowl sets at their factory in Ohio in the 1930s. This bowl set features the concentric ring motif that is common on Jeanette glass. Interestingly these three come in both light jade-ite as seen here and a rare dark shade that is highly sought after. 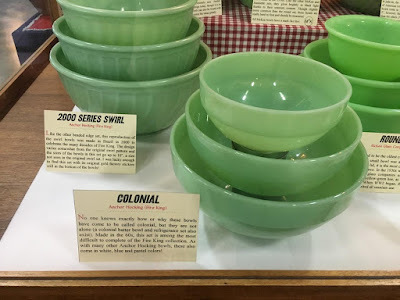 No one knows exactly how or why these bowls have come to be called colonial, but they are not alone (a colonial batter bowl and refrigerator set also exist). Made in the 60s, this set is among the most difficult to complete of the Fire King collection. As with many other Anchor Hocking bowls, these also come in white, blue and pastel colors! Like the other beaded edge set, this reproduction of the swirl bowls was made in Brazil in 2000 to celebrate the many decades of Fire King. The design varies somewhat from the original swirl pattern and the sizes of the bowls in this set go up to 10", a size not seen in the original swirl set. I was lucky enough to find this set with the original gold factory stickers still in the bottom of the bowls! My personal favorite of the five sets of mixing bowls made in the 50s and 60s, the splash proof bowls are both attractive and useful. At 6" in height and 9-1/2" across, the largest bowl in this set is among the biggest of all mixing bowls of the old era. The smallest bowl (6-1/2") is extremely rare. Anchor Hocking still makes this design today, though it is in clear glass only. These bowls can be found with painted flowers which increase the value greatly. The only set of the five main Fire King sets I was unable to complete before this display. The Swedish modern or teardrop bowl set is very rarely found complete. The smallest bowl (5") seen here is much more common than the rest. It is speculated that the bowl was given out by the company separately as a prize or promotional product. This set contains 4 bowls when complete and also comes in blue azu-rite. Here is Nick proudly standing in front of his display. I want to give my personal thanks to Nick Stein for being not only a good friend, but for being a passionate and consummate collector of jadeite. The thorough information that he has provided here is exceptional and completely inspiring for all of us budding jadeite collectors. 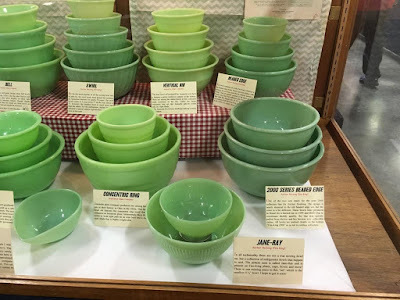 To have all of the particulars about vintage jadeite bowls in one online post, is something that I hope you use to your advantage when shopping for this glassware. If you happen to be in the Bay Area right now, please visit the Alameda County Fair. For more information, please visit their website. Thank You, Nick! 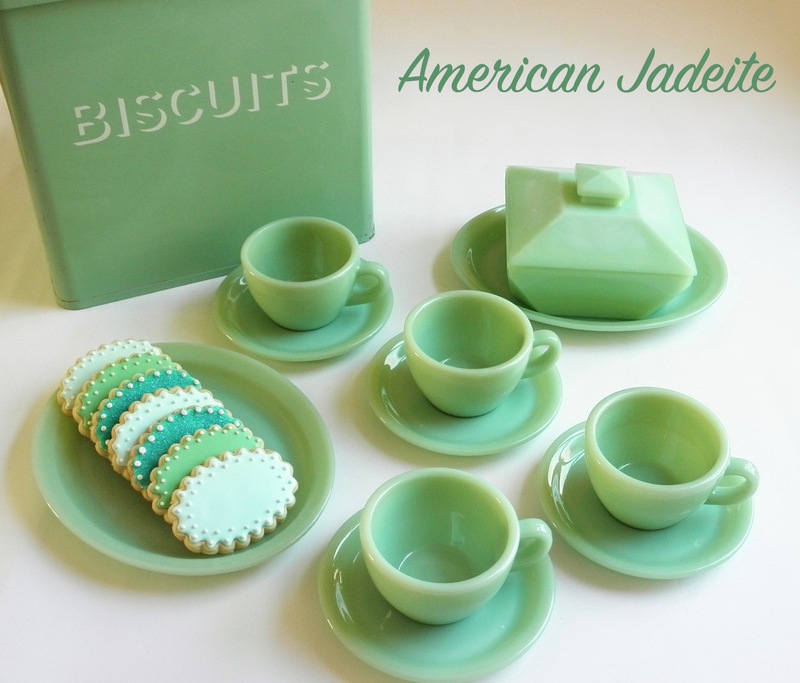 I hope one day to read a book by you on the subject of collecting jadeite. I cannot remember this in Australia - I do however remember this style of bowl but in other colours...mainly butter-coloured. That may very well be. The great thing is that in Australia, Donna Hay is now offering jadeite pieces made by Mosser Glass, so it is possible to buy it there. As for bowls, I'm missing about 90% of them! I agree, they are addictive. The Swedish Modern 4 bowl sets were produced in Jade-ite and Turquoise Blue. Not Azure-ite. Same as the Splash proof bowls, however in the TQB set they were only 3 bowls (the largest was never made in TQB) The FK swirl bowls were made in Ivory, White and Jade-ite, and a very VERY special Azur-ite 9" and 7" were made, but these are so very scarce. Great information, Anonymous. Thank you!